Here are fun things to do in Fort Lauderdale when you arrive in the Venice of America. You can start your adventure with a water taxi to fabulous sites like the Riverwalk, Las Olas Boulevard and you can visit Hollywood. 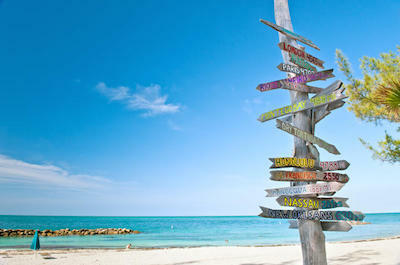 Take a day trip to Key West or spend the day at Hugh Taylor Birch State Park. You can be challenged by escape rooms or enjoy a Segway ride along the waterways.You can shop at Aventura Mall and when you take a gondola ride you will know why this area is called the Venice of America. When you want to get out for a day and experience the areas around the Caribbean then the ideal thing to do in Fort Lauderdale is to plan a day trip. Day trips are a great way to explore faraway places and be back in your hotel the same day with time to spare. These excursions include meals, drinks and a fabulous time as you travel by either catamaran, ferry or in a comfortable coach. Places you can go range from the Grand Bahamas to Key West and you have a choice of exciting activities once you are at your destination. You can decide to spend the day shopping, lying on a Caribbean or snorkeling while viewing incredible coral reefs and marine wildlife. No matter how you travel you will have a new appreciation for the natural and built environments of south Florida and the Caribbean. 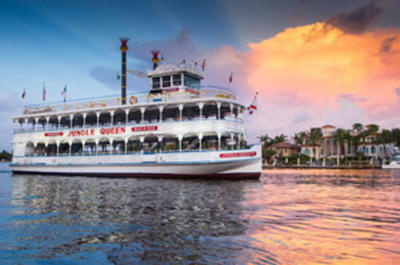 When you want to get off of land and travel on the beautiful waters of the Atlantic Ocean or the Intracoastal Waterways then the perfect thing to do in Fort Lauderdale is to go on a cruise or boat tour. You have a variety of choices with these excursions of places to visit and see such as a day trip to Grand Bahama, Fort Lauderdale canal cruises, a trip along the Intracoastal Waterways and even a fun sail to Key West. The modes of transportation you can choose from will please you and include a spacious Jungle Queen Riverboat, a ferry, a catamaran, a water taxi as well as a fabulous replica of a pirate ship. 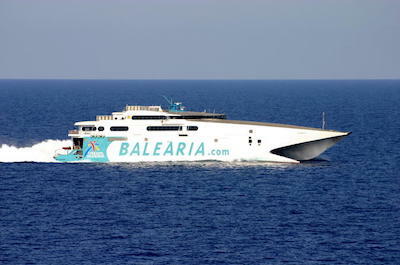 Other options range from a romantic sunset cruise to a family fun night to a rowdy and raucous party boat. No matter which thing to do in Fort Lauderdale you choose you will quickly understand why the city is dubbed is the Venice of America. When you want to experience the biggest National Park east of the Mississippi River in the United States then the best thing to do in Fort Lauderdale is to take an Everglades tour. You will be amazed at the wildlife and fun you will have on one of these excursions. Most excursions include an adrenaline filled airboat ride over the grassy swamps and waterways of the park. Other add-on options include watching an alligator show, taking a nature hike with a trained naturalist and you can choose from daytime or nighttime departures. There is also a splendid kayaking excursion that will have you paddling along pristine waterways. The wildlife you will view includes species such as the American alligator, Florida panther and bird watchers will be content beyond belief. 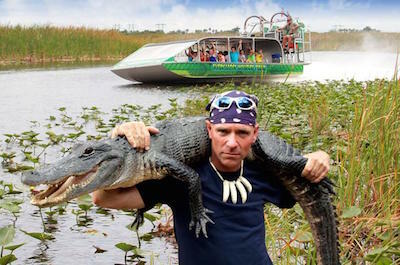 Everglades National Park is a must see and there is no better way than on one of these adventure tours. If you want to experience the excellent wildlife and nature that resides in the area then the perfect thing to do in Fort Lauderdale is to take a nature and wildlife tour. These types of excursions are fascinating for families and all type of travelers who like to watch wildlife in their natural habitat. 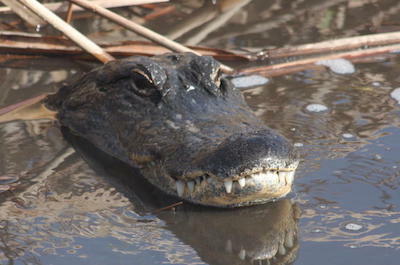 Some of the tours offer exciting airboat rides through the pristine 10,000 Island area of the Everglades or an airboat ride that includes an alligator show and you can chose to take a nature hike with a trained naturalist. Some excursions just offer admission to fabulous wildlife and natural settings like the Flamingo Gardens, while others may include a snorkeling trip to Key West. You can choose between a daytime or nighttime departure and most of the tours have flexible hours as well as a variety of time lengths that will suit everyone’s vacation schedule. When you are searching for a an entertaining event in the evening that involves a live Polynesian performance and a fabulous three-course dinner, then a superb thing to do in Fort Lauderdale is to attend the Mai-Kai Polynesian Dinner Show. 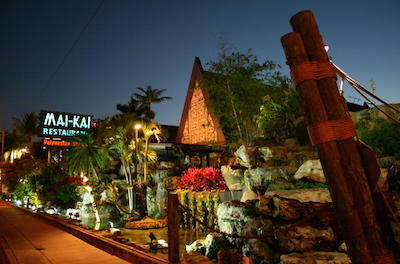 The Mai-Kai Restaurant has been pleasing customers since 1956 with their award-winning Cantonese and American cuisine and with an authentic live performance of Polynesian entertainment. After you find your table you will have 1.5-hours to indulge in a three-course meal which will begin with a choice of an appetizer. The main course will please your taste buds as you choose from six different items that range from farmer’s market vegetables to teriyaki beef to Mai-Kai honey chicken and you will finish with a decadent dessert like Tahitian vanilla bean ice cream. Next comes the exciting part of the evening when you sit back and watch a stunning performance by the Islanders Revue. The stage will light up when these beautiful dancers enter in their brightly colored traditional Polynesian costumes. Drum beats will pierce your ears as these performers display wonderful hula dancing and sing traditional folklore tales. You will be awestruck when the fire and knife dancers perform an authentic Samoan ritual. As the evening winds down you leave with a smile and plenty of lasting memories from this wonderful evening of food, fun and entertainment. 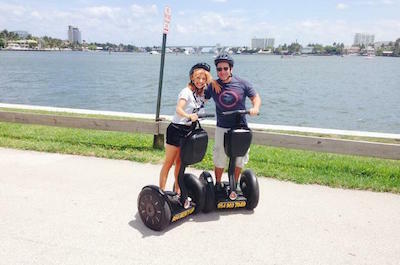 If you like to experience new forms of transportation when you are sightseeing, then the ideal thing to do in Fort Lauderdale is to go on a Segway tour. These excursions are great for families and all types of travelers that want to cover more sightseeing opportunities in a shorter time frame. Segway vehicles are fun to navigate and easy to learn how to maneuver. You will have many choices on where you would like to travel including Hollywood Beach Boardwalk, the Fort Lauderdale Riverwalk, Hugh Taylor Birch State Park and as your glide you can listen to interesting commentary from your tour guide. You might even decide to simply take an unguided tour on your own and just rent a Segway. These tours have varying time lengths from 30-minutes to 2-hours and are a great way to explore the sights while you glide from location to location. When you want to find out why Fort Lauderdale is considered the Venice of America, then an ideal thing to do in Fort Lauderdale is to take the Fort Lauderdale Water Taxi. Your all-day ticket is an excellent way to cruise the waterways that have made this area of United States the Venice of America. 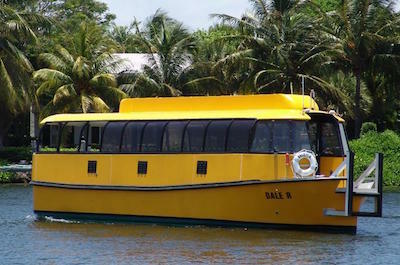 The water taxi allows for you hop-on and hop-off access at twelve exciting locations along the Intracoastal Waterways which include stops at places such as Las Olas Boulevard where you can dine and shop or view the cruise ships at the Port of Everglades. You will have the opportunity to plan your own tour while stopping at other fabulous locations like Bahia Cabana Beach, the Pirate Republic Bar and you can even go to Hollywood where you can stop at the Crowne Plaza Hollywood Beach. An added bonus to the water taxi will be the gorgeous views of the manicured gardens and the fabulous built environment that line the Intracoastal Waterways. There is a lot of things to do in Fort Lauderdale to be found at all twelve stops which makes the water taxi an excellent choice for all around transportation needs when you visit the Venice of America. When you want to explore more of south Florida that will leave lasting memories of fun, sun and sea, then the best thing to do in Fort Lauderdale is to take a day trip to Key West. Your 12-hour adventure begins when you meet your driver/expert guide at the Best Western Plus Fort Lauderdale Airport South Inn and Suites where you will board a comfortable coach and start your journey to Key West. After a quick stop in Miami you continue to Key West passing by some 34 islands and over 42 bridges including the world famous Seven Mile Bridge that connect the Florida Keys to the mainland. During your 4-hour drive your guide will give an interesting narrative of the wonderful landscape and built environment of each place you pass. Once you arrive at Key West the fun begins when you will have 6-hours to explore this spectacular island that Ernest Hemingway called home. You will have the opportunity to visit fabulous places like Mallory Square, the Southernmost Point, Bahama Village Market, Key West Aquarium as well as the Key West Shipwreck Treasures Museum and don’t forget to visit the Ernest Hemingway House and Museum. You can also choose a number of exciting ad-on options that will make your day even more memorable like the Old Town Trolley which allows you hop-on and hop-off service at several spectacular attractions. Other add-on options include a 3-hour snorkeling cruise where you will witness the only living coral barrier reef in the continental United States or take a 2-hour glass bottom boat ride or a the 90-minute Conch tour train. When you are finished exploring Key West you can relax on the way home and dream of the lasting memories that this day has left in your mind forever. If you desire to experience a Caribbean island with outstanding culture and history as well as lots of fun in the sun, then the perfect thing to do in Fort Lauderdale is to take the Grand Bahama round-Trip Ferry Tour. Your 12-hour adventure begins when you arrive at the Port Everglades where you will board a fascinating and fast state-of-art-ferry which will make your 3.5-hour boat ride to the Grand Bahamas pleasurable. On board you can indulge in a small casino, enjoy breakfast or just sit back and relax as you travel south across the Atlantic Ocean. Once you arrive at Freeport Harbour, Grand Bahama you will go through a quick check-in process at customs as well as immigration, so have your passport ready. After you are finished with this process you will have 5-hours of glorious time to visit a number of exciting attractions and activities. While you are on Grand Bahama you can venture the streets experiencing the history and culture of this fabulous island through its food, museums as well as shopping districts. There are also opportunities to spend the day on a gorgeous white sand beach or go parasailing for a bird’s eye view of the lush tropical landscape and the snorkeling around Grand Bahama is absolutely spectacular with numerous coral reefs as well as interesting marine life. When you have completed your explorations you will board the ferry where you can relax and relish the lasting memories of your interesting day on Grand Bahama. When you want to explore the wonderful underwater of the Atlantic Ocean that surrounds southeast Florida then the best thing to do in Fort Lauderdale is to plan a snorkeling tour. These all day excursions are fabulous and will take you out on the open Atlantic Ocean or by comfortable coach until you reach your snorkeling destination. When traveling by coach you will experience an interesting drive that includes viewing 34 islands as you drive over 42 bridges and when you travel by catamaran you will like the vantage point of the built environment as you stare at the inland landscape. 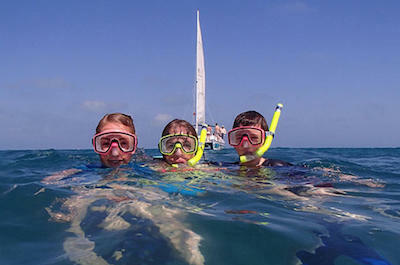 Once in Key West you will have plenty of time to snorkel in one of the world’s premier snorkeling destinations that includes gorgeous coral reefs, ship wrecks and hundreds of colorful tropical fish. If you want an added bonus then add a standup paddleboarding or kayaking option. 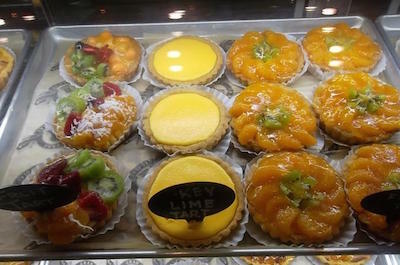 When you want to experience the best in food, drink and nightlife as well as learn about the history and culture of the area then a superb thing to do in Fort Lauderdale is to take a food tour. These excursions are a fabulous way to explore such places as Las Olas Boulevard, the Himmarshee Village and Pompano Beach. You can decide what type of experience you want which range from an incredible pub crawl to a sunset walk along the Intracoastal Waterway to cruising down the Las Olas River. Most tours boast stops at 3 to 5 eating or drinking establishments where you will indulge in local specialties and learn about insider tips on the history of the area at each stop you make. These tours allow you to travel by foot, boat or pedibus and most last between 2 to 4-hours with a variety of start times. 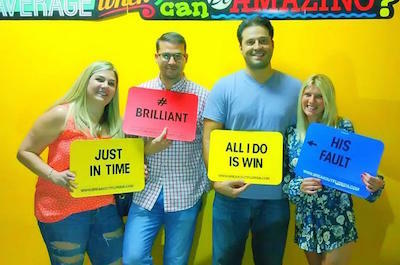 One of the more popular things to do in Fort Lauderdale is to challenge yourself, friends and families to an interesting escape game. These excursions are hands-on with interesting twists and turns as you try to escape from a specialty themed room as if you were in an Indian Jones movie or perhaps a real life game of clue. Themes rooms you can choose from include the Thomas Edison where you will sort through several of inventions to escape before the 60-minute time limit expires. Others include a Hangover room which is fashioned after the hilariously funny movie the Hangover and you can try to escape within the time limit from the Clarence Earl Gideon room where you need to find clues about his felony theft charges and subsequent battle with the Supreme Court. No matter which room you choose the memories will be endless even after you escape. When you want to create your own adventure and be your own tour guide, then a reputable bike rental for bicycles is a perfect thing to do in Fort Lauderdale. When you rent a bike in Fort Lauderdale you can decide whether you have the bicycle for an hour, all day or even a week. You will be pleased at the ease you will have navigated the city to such stellar attractions as the Las Olas Boulevard, Fort Lauderdale Beach, Hugh Taylor Birch State Park and along many of the Intracoastal Waterways as well as city streets. 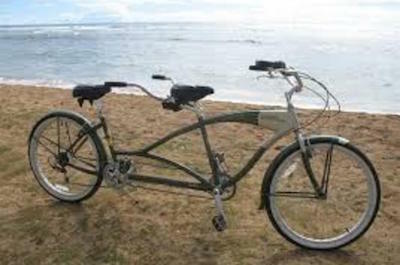 You have a wide variety of bicycles to select to ride that range from a tandem to fat wheel to a beach cruiser and if you want to peddle less try an electric bicycle. Bike rentals include safety equipment and rental outlets will provide you insider information of the area. When you are ready for some of the best fishing in the country then an ideal thing to do in Fort Lauderdale is to take a fishing tour. 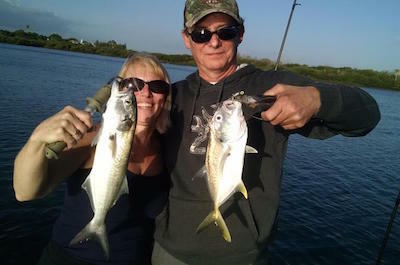 These excursions are fantastic and offer challenges as well as rewards when you set out to catch several species of bass, bluefish, snapper and tarpon that you always dreamed about having on the end of your fishing line. Tours range from 4 to 12-hours and include fishing in magnificent places like the Everglades, Pompano Beach area at the Hillsborough Inlet and you will be amazed what you can catch in the Intracoastal Waterways. Imagine the other various species of marine life you might encounter such as manatees as well as alligators as you cast your line into the calm waters. Expert captains know where the fish are so you waste time trying to find them and they will make sure you land your fantasy fish. 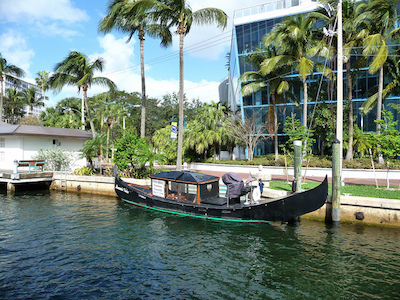 One of the more romantic and family friendly things to do in Fort Lauderdale is to relax on a New River Gondola tour while exploring the Venice of America. These excursions are fabulous for several reasons including the beauty of the waterways, wild life and marine life sightings as well as they can be arranged for small groups or just two people. The gondolas are state-of-the-art electric boats that are quiet allowing you to listen to the serene sounds of the New River and Intra Coastal Waterway. You will view the built environment of Fort Lauderdale from a different perspective as you see million dollar mansions, luxury yachts and manicured tropical gardens. The animals you will see in their natural habitat range from manatees to blue herons to iguanas to peacocks. Gondola excursions are available during the day as well as evening allowing you to include a romantic dinner to your list of fun things to do in Fort Lauderdale. Photo by Herb Neufeld on Flickr.